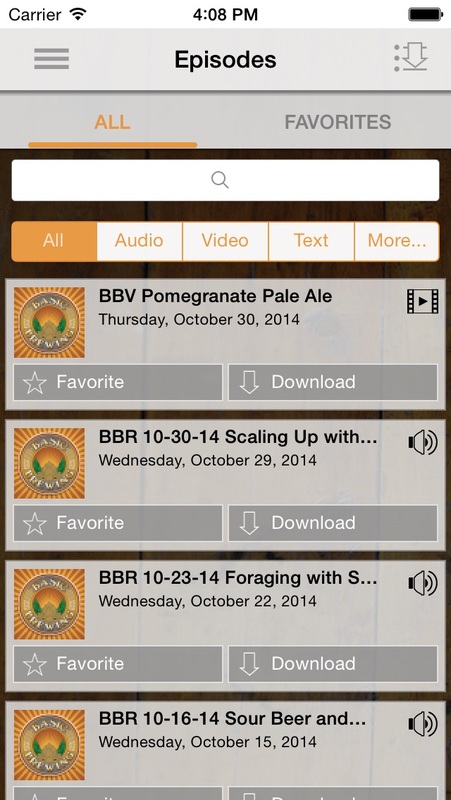 This app is very easy to use no matter what your BBR/BBV listening style may be. You can download episodes and take them when you don't have Internet, or you can stream. You can sort new to old, or start with the oldest at the very beginning. Everything is together and chronological so there is no concern about missing a video in time because you didn't switch to a separate content type (audio v. video). It's just a very nice app and exactly what one might expect from such an excellent program. Best 2 bucks you can spend. Keeps the show organized and the extras are a plus. James, Steve, and Andy are the reason why i brew beer and cider today! Thank you guys and keep up all the amazing work! Love the show and really enjoy all the great information. However the app does freeze and close itself alot. Once the little things are fixed it will be a great app and if those were fixed it would be worth $4-5 in my opinion! Love the show and this helps keep all the episodes available for quick listening. This is worth every penny! 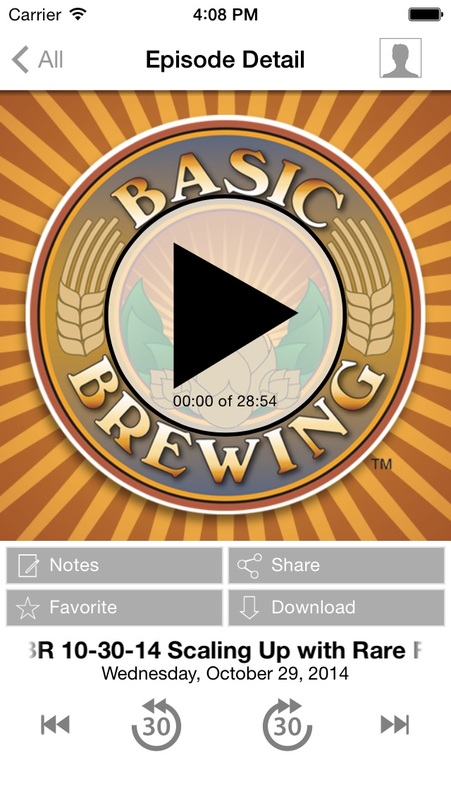 It's great to have Basic Brewing Radio and Basic Brewing Video at my fingertips in an organized fashion. The extras make me feel like I'm in an exclusive club! If you homebrew (or are a fan of homebrewing), download this now! I love the podcasts, but it would be helpful of the podcasts were sorted separately from the videos. This app also crashes and gets stuck while loading a lot. I've had to delete it and reinstall it several times just to use it. Great for beginners and experienced brewers. Great app for home brewers. The podcast and videos are, or should be required listening. My dreams have come true and this App is now on the iPad. My life is complete! If you listen to any basic brewen radio support them and buy this app. I have picked so many tips and was more than happy to purchase this app a+ in my book. A really good way to keep up on one of the best home brewing podcasts around. Cheers! I wasn't quite sure how to rate this, because Steve is awesome and I'm happy to throw a few bucks his way. 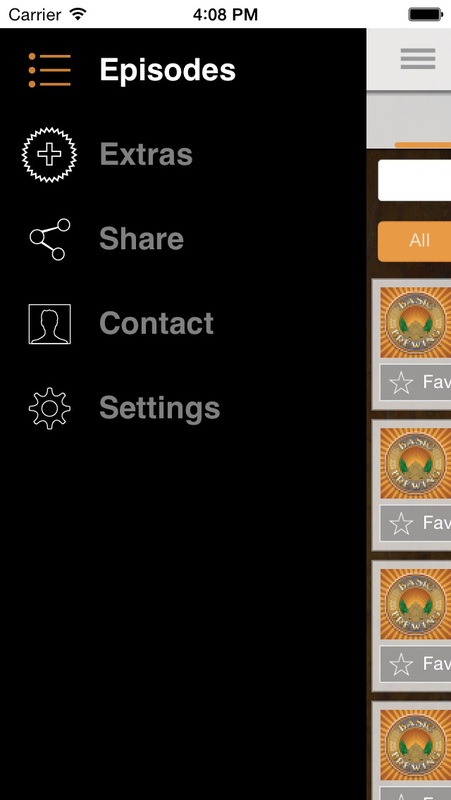 That said, this app is a usability nightmare. Main gripe: it's tough to browse episodes because the list format cuts off titles that are too long to fit on a single line. Great app works really good and the interface is user friendly!! Cheers! Great podcast and a great app! James and Steve are the most down-to-earth, friendly, and funny home brewers to come along since Jimmy Carter legalized home brewing. Do yourself a favor and get the app! Easy to use app. Best home brew show I have found. Fun and down to earth hosts. These guys make brewing easy as well as fun. Quite a lot of humor throughout the very instructional sessions. I especially love the beer and food pairing. Good content and the guys deserve the couple bucks for the app for all they've given over the years. My only complaint is the video doesn't rotate at all so you have to watch the landscape video in portrait, which is too small even on my iPhone 6. I haven't been brewing long. I've wanted to for years but just recently jumped in head first. In the process I have filtered through a huge pile of instructional videos and literature and I can say without reservation that these guys produce the best of both. I enjoy their humor and demeanor. 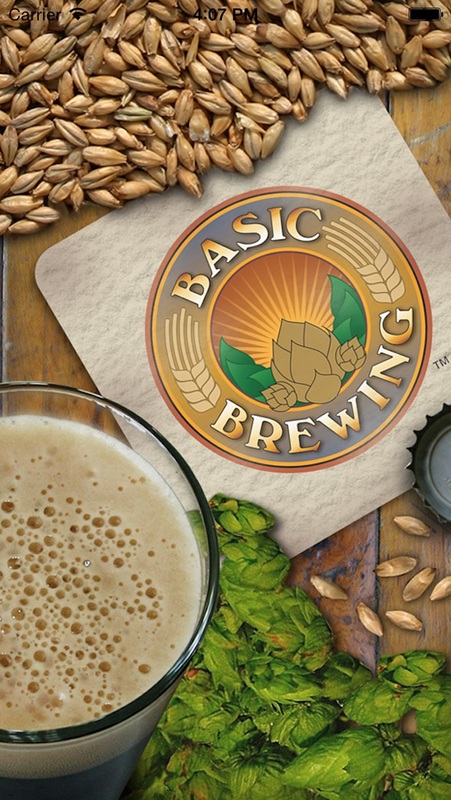 I appreciate their enthusiasm for knowledge on brewing and, as an educator myself, I applaud their ability to break down complex material into bite-sized chunks. Cheers and keep up the great work. I haven't been this excited about finding a podcast to follow since the old days of Games for Windows with Sean Elliott and Jeff Green. This app is pretty nifty. I usually keep my phone pretty clean of old podcasts, and I often want to reference a podcast that was removed, and I would have to wait until I got home. This also works when I'm away from home, and get an update that a new podcast was uploaded. If you pinch every penny, you could do without this, as you can get everything on iTunes on the computer. 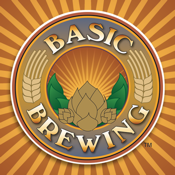 However, basic brewing deserves my support of $2. They've saved me more money than that! I hope this app gets a lot of bonus material, as it will set it apart from the podcast. If you've ever looked at the facebook page, the outtakes can get pretty funny. Easy to use and the knowledge that James and Steve bring to the community is worth it's weight in gold. Highly recommended. This show is wonderful. A real treat. I hope to see this app get loaded up with lots of goodies. Everything James Spencer puts out is great and I think he can do some real fun stuff with this app. 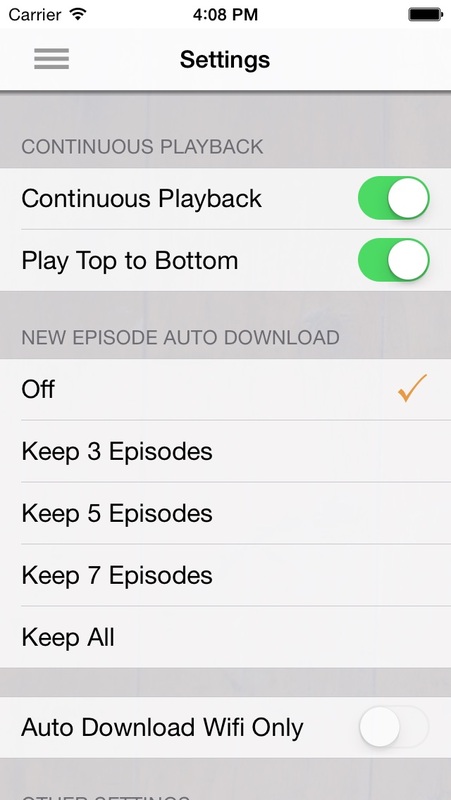 Love the extras, ease of use, and early release of episodes! I love this podcast/video cast from James Spencer. It has helped me get through a brew day without hiccups and helped me improve as a brewer. Wouldn't know what to do without!